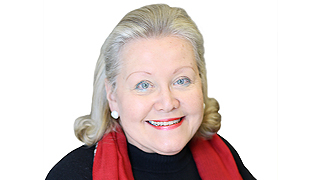 Alice is a well-established Realtor with 40+ years of experience in selling real estate. Alice has a Bachelor of Science in Marketing from the University of Tennessee Knoxville. Before she began her real estate career, she was the first woman management trainee at First American Bank in Nashville where she was in the Marketing Department and an Assistant Manager. Alice holds the Certified Residential Specialist (CRS) designation, which is achieved by only 3% of the Realtors in the nation. She is a Life Member of the Awards of Excellence (formerly known as the Million Dollar Sales Club) and has served on numerous committees for the Greater Nashville Realtors Association. Alice loves representing both buyers and sellers and is a strong negotiator. She also enjoys playing bridge. Alice has been involved with Cheekwood, the Nashville Symphony Guild, Friends of Children’s Hospital, and Chaired the Preservation Ball to benefit the APTA (Association for Preservation of Tennessee Antiquities, for historic homes) and is a member of Christ Presbyterian Church. Alice is married to Dempsey Weaver III, who is a retired Registered Investment Advisor.